This weekend, the Furman Singers will have a historic opportunity to add their voices to a Broadway show. The select group of sixteen singers will perform at the 1,505-seat Lunt-Fontanne Theatre in New York City with Kristin Chenoweth in her one-woman show, My Love Letter to Broadway. Kristin Chenoweth performing during the Opening Night of Kristin Chenoweth—My Love Letter to Broadway at the Lunt-Fontanne Theatre on November 2, 2016 in New York City. Chenoweth, who won a Tony Award for her portrayal of Sally in the 1999 revival of You’re A Good Man, Charlie Brown, and starred as the witch Glinda in the original Broadway production of Wicked, will perform a selection of musical theater favorites, including songs from her upcoming album, The Art of Elegance. The students will sing two numbers with Chenoweth, in the grand finales of both the first and second acts. The invitation to perform in Chenoweth’s show came from alumna Mary-Mitchell Campbell ’96, who founded Furman’s student-run musical theater group, the Pauper Players, and now works as Chenoweth’s music director. 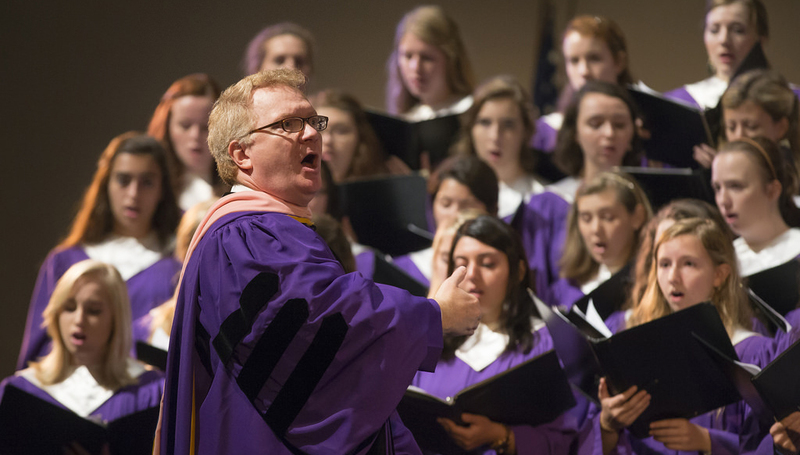 The Furman group, which will include Hugh Ferguson Floyd, the Music Department chair and director of the Furman Singers, and President Elizabeth Davis, will fly to New York City on Friday and return Sunday. “The students are giddy with excitement,” Floyd notes. “This is the first time the Furman Singers have ever performed on a Broadway stage.” They will have to learn the music quickly with only a short rehearsal on Saturday morning, and be prepared to go onstage Saturday night at 8 p.m. 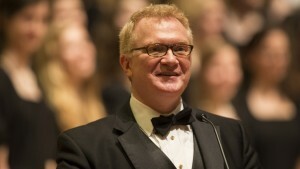 Learn more about the Furman Music Department. Last updated November 15, 2016 .